Another great away victory, which notches up three in a row, still felt ever so slightly disappointing by time the final whistle was blown. In the main this was due to clear-cut chances missed that almost allowed Bolton back-in late in the game. Don’t get me wrong, North End dominated this contest against a team that already looks like doomed relegation fodder, but how we went in for our half-time Bovril only one goal to the good was a mystery to myself and those around me in a full and noisy away end. Taking the short journey down the M61 has been good to us in recent times, including last season’s Gentry day win, and so it proved to be again in another ‘out of town’ stadium that in my view seems to take some of the soul out of a club (think of Stoke and Coventry). Despite a couple of attempts on goal, Wanderers never really offered much in the first period and it felt more like the Lilywhites were the home side. 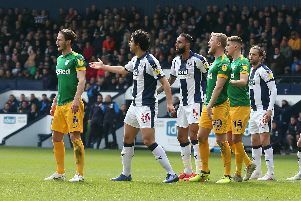 With the hosts struggling to get out of their own half, Preston kept-up the pressure with good wing play and movement from side to side all ably anchored around Sean Maguire as the central man up front. It was a lovely through ball from Maguire that put Tom Barkhuizen in on goal at nil-nil and we all held our breath waiting for the net to ripple. Unfortunately Barky put it wide, but made-up for this in his assist for Alan Browne’s opener, again following good wing play and interaction between both players. He also made no mistake when again put through by Maguire late in the second half to score what proved to be the winner. At two-nil down, Bolton pushed to get back into the game and maybe the visitors were a little bit guilty of taking their foot of the gas as a ball headed back across the North End six-yard box was struck home in the 90th minute. A further scare two minutes into the four added on saw a fine save by Declan Rudd keeping Preston’s narrow lead intact0.